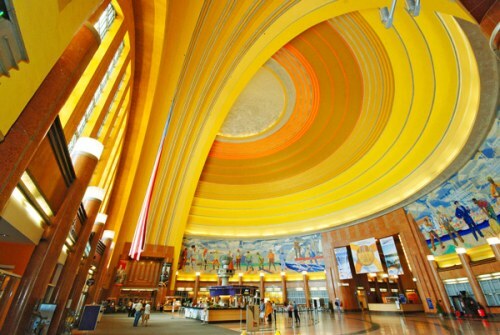 Delta and WestJet have dropped the price of their April, May, and June flights from Calgary to Cincinnati, Ohio down to $275 CAD roundtrip including taxes. This is 38% below the typical cheapest roundtrip prices from Calgary to Cincinnati. 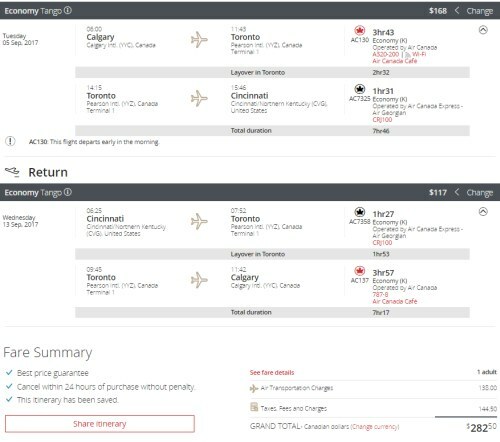 Update 4/24 - Air Canada is now showing flights from Calgary to Cincinnati, Ohio on certain dates in June and September 2017 for $282 CAD roundtrip including taxes. Delta and WestJet are showing flights between October 2017 and March 2018 for the same price. 3. Click through from Kayak to the Air Canada website. and then click through from Google Flights to the WestJet website. calgary, yyc, united states, flight deals, westjet, delta, north america, cincinnati, ohio, kentucky and cvg.